UNITED NATIONS, July 4 -- As the US prepares to pull back from Afghanistan, moving at the UN to make it easier to take Taliban off the sanctions list and encouraging Hamid Karzai to negotiate with them, what is the place of women's rights and human rights more generally? 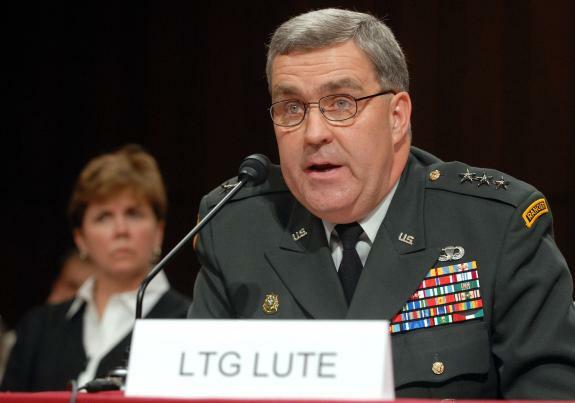 While in Washington there is much telegenic hand-wringing on the topic -- for example, last month Af-Pak czar Douglas Lute had himself filmed providing assurances of US commitment to a delegation of professional Afghan women some of whom worked for the UN -- the US embassy in Kabul is surprisingly quiet. Perhaps this is just diplomacy, of a decidedly realist bend: don't highlight Western ideas of human rights in a country where the US wants to say that its massive military spending has resulted in enough improvements to leave. Some contrast this with the US embassy in Pakistan's June 26 LGBT event. Why not hold that in Kabul? Or Baghdad, for that matter? And why not actually offer US asylum to those facing imprisonment and death due to discrimination? The wider international community, too, seems quite prepared to let bygones be bygones in Afghanistan. After UN staff member Louis Maxwell was executed, by Afghan national forces, the UN has never pushed the Karzai government to conduct the investigation a UN panel called for. More recently, after seven UN staff were killed by protesters in Mazar-i-Sharif in April, there has been very little follow-up by the UN. And where is the new head of UN Women, Michelle Bachelet, on the topic of women's rights in Afghanistan as the US and other powers pull out? We'll see. 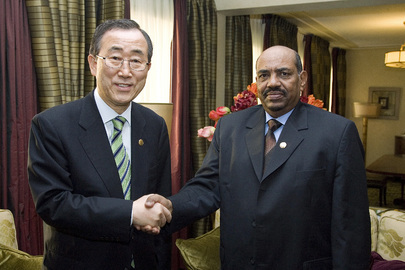 With Ban & Bashir Headed to Juba, UN and War Crimes Are Left Murky: Handshakes or Handcuffs? UNITED NATIONS, July 4 -- For the upcoming independence day of South Sudan on July 9, the President of North Sudan Omar al-Bashir “will be there,” Bashir's ambassador to the UN told Inner City Press on June 27. The next day, South Sudan leaders in Juba confirmed the invitation. Bashir has been indicted by the International Criminal Court for genocide and war crimes in Darfur. Inner City Press: Sudan’s Permanent Representative says that Omar al-Bashir will be attending as he is indicted by the ICC [International Criminal Court]. What does the Secretary-General think about that? Is he going to meet with Bashir? Is he opposed to meeting with Bashir if he is there at this, as stated by the Perm Rep in Juba for this ceremony? Acting Deputy Spokesperson Haq: First of all, I don’t believe that there is any plan to meet with President Bashir. But second, beyond that, regarding the invitation, what I can say is that the International Criminal Court is an independent judicial institution. It has a mandate distinct and separate from that of the United Nations. The Secretary-General fully respects and supports the International Criminal Court and its work. How States conduct themselves in the light of the arrest warrants issued by the International Criminal Court is a matter for States to determine in the light of the legal instruments applicable to them. This answer appears tailored to avoid the recent controversies of Bashir's travels and meetings with heads of state. But shouldn't the UN hold itself to a higher, less legalistic standard? UNMIS has already repeatedly used UN helicopters to fly Ahmed Haroun, indicted for war crimes in Darfur, into conflict zones in which Bashir's and Haroun's National Congress Party is accuse of orchestrating more ethnic cleansing while UNMIS peacekeepers stood by or worse. Ban & Bashir, right monitoring plan not shown: shaking on July 9? Inner City Press: ....the fighting in Kadugli, and they, in one instance they, they quote a person saying that his friend Philip drove to the UN compound and was shot to the chest in front of it. And the Times says UN officials confirmed the killing. So I just wanted to, I guess, I mean there it is, it’s in writing, but how did the UN confirm it and what has it learned from an instance of civilians seeking protection being killed directly in front of the UN peacekeeping base in Kadugli? Acting Deputy Spokesperson: Well, we’ve made our concerns known about the situation in Kadugli, and we have repeatedly called on the parties to halt the fighting. You are aware, and we’ve mentioned several times in recent days the consequences of the fighting in Kadugli. For details on that specific shooting incident, I’d refer you over to UNMIS. But in the three days since, nothing has been heard from UNMIS. Watch this site. UNITED NATIONS, March 4, updated -- The UN has for a second time offered a free UN flight in Sudan to Ahmed Haroun, under indictment by the International Criminal Court for war crimes in Darfur, the UN admitted Friday in response to questions from Inner City Press. On March 3 the UN Security Council met about renewed fighting in the disputed Abyei region. Back in January, Inner City Press got the UN to acknowledge they had flown ICC indictee Haroun from South Kordofan, where he serves fellow ICC indictee Omar al Bashir as governor, to Abyei. The UN has defended this controversial flight by saying that Haroun and Haroun alone could stop violence in Abyei. The UN never explained why the government of Sudan, which has an air force currently bombing civilians in Jebel Marra in Darfur, couldn't itself fly Haroun. The UN said it was a scheduled flight, then UN Mission in Sudan chief Haile Menkerios admitted to Inner City Press that it was a special flight. Inner City Press is told such flights cost $40,000, and the UN has confirm no reimbursement has been sought from the Bashir government. But now the violence has continued, making the UN flight of ICC indictee Haroun harder to justify even by the UN's own argument. March 3 in front of the Security Council, Inner City Press asked Council president for March Li Baodong of China if the UN Peacekeeping official who briefed the Council, Atul Khare, had mentioned if Haroun would again be flown in a UN helicopter. Li Baodong did not directly answer. At the March 4 UN noon briefing, Inner City Press asked Secretary General Ban Ki-moon's spokesman Martin Nesirky to confirm or deny that that the UN would once again fly ICC indictee Haroun to Abyei, even now that his work in connection with the first flight has proved ineffective. Nesirky said he would check. Ten minutes later, Nesirky's deputy Farhan Haq announced by speaker to all UN correspondents that yes, Haroun attended today's meeting in Abyei, and yes, “he was transported” by the UN. This UN promotes impunity, even for one of the few people indicted for war crimes by the ICC. Meanwhile Ban Ki-moon brags about the Security Council's partial referral of the situation in Libya to the ICC -- a referral that Ban Ki-moon did not even call for until after the Council voted to make the referral. This UN is promoting and enshrining lawlessness, with no transparency or accountability. Watch this site. Responses have been sought from the Missions to the UN of France, the UK and the US, with the latter two asked if they knew in advance of the UN's new flight of ICC indictee Haroun. Given her statements this year about social media, & after hours of non-response by the US Mission to the UN,@AmbassadorRice has been asked directly as well. Watch this site. We could note again that violence has persisted despite the UN flying ICC indictee Ahmed Haroun in the first time, and that it is the role of UN member states to oversee the UN Secretariat, not to defer in this case to what some see as its promotion of impunity - but at least the UK would put its position on the record. You guys ask great questions! Have you noticed perhaps that the United Nations seems to be unaware of who is causing the violence in Abyei. And yet "diplomatic sources" report seeing the burial of 33 bodies - all southerners. The Arab nomads say the violence started when SPLM police shot at them (Hitler used a similar ploy to invade Poland) - and today thousands of civilians fled Abyei fearing another crisis like in June 2008. The Dinka Ngok villages north of Abyei, such as Maker, have been burnt to the ground. The end explains the means. There is a creeping ethnic cleansing going on in the Abyei region despite the agreements of 2005 and the Court of Arbitration ruling in 2010. Why fly Haroun to Abyei - what is his cv? It is, as you correctly point out, that of arming arab militias to burn villages. I hope to see more of your questions pinning the UN to the responsibility to protect.